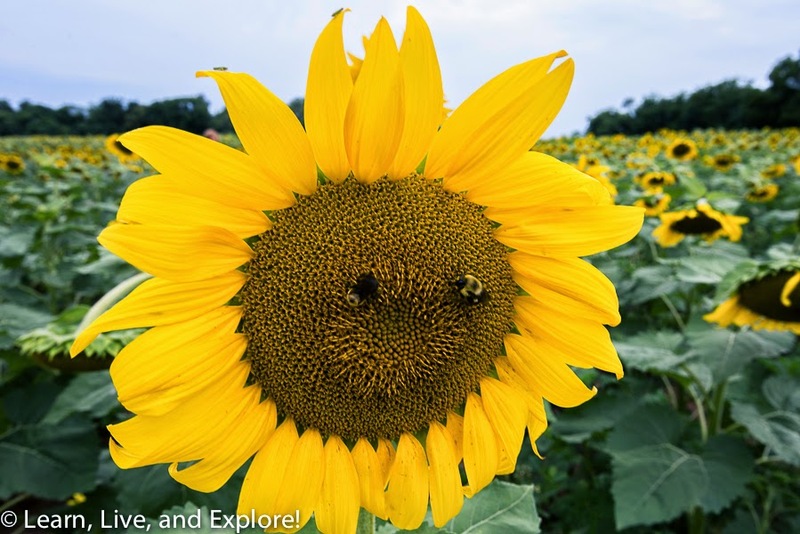 Sunflower Fields of Maryland 2014 - A Lesson Learned ~ Learn, Live, and Explore! 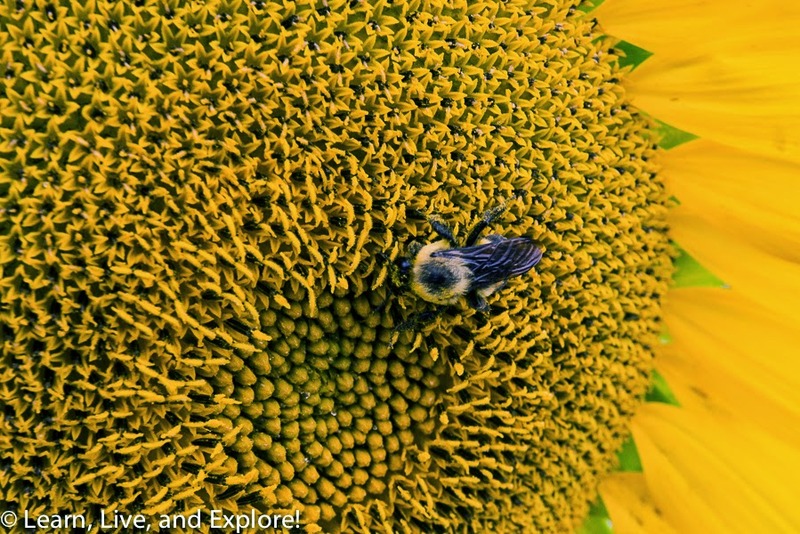 A week ago, on my way back from New York City, I stopped in Maryland to check on the blooming status of the Mckee-Beshers fields of sunflowers near Poolesville. They were perfect - perky, colorful, masses of blooms. With the weather this week being so fantastic, a rare stint of mid-July low humidity, I found myself putting off driving back up to the sunflowers in lieu of other outdoor activities. Well, I learned a good lesson. Not only did I choose the one evening where the sky started to cloud up and ruin my opportunity for a fantastic sunset, but when I walked into the fields, all of the flowers were noticeably past peak - drooping, petals wilted, and seeds falling off. I wasn't going to waste the drive, though, so I mainly did some attempts at macro photography with all the bees collecting pollen. 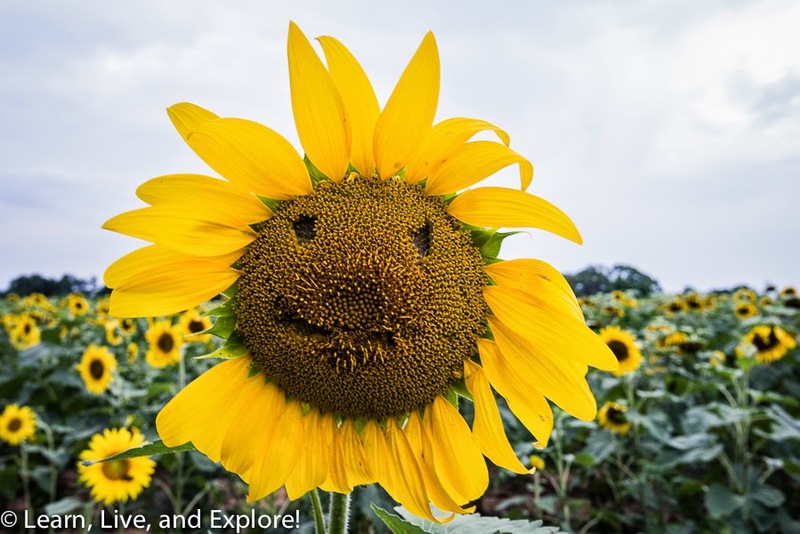 Then there were the silly sunflowers, where others had picked out happy faces from the middle. Ultimately, my takeaway from this year's sunflower photo shoot was to photograph the flowers when you know they are blooming, which seems to be in the first half of July! Don't procrastinate!